If you would like to join Julian, just let us know what interests you. It is easy - just phone or email.You may be a singer or performer. You don't have to be a performer or even a singer. But, of course, those who take to the stage and want to be part of the company are most welcome. However, no production would be complete without people with a host of other skills; technical, backstage or front-of-house. So - click here and drop us an email. Or ring our secretary - her number is at the bottom of this page. Tell us your name and postal address, a telephone number - at home and at work if it is different - and an email address if you have one. 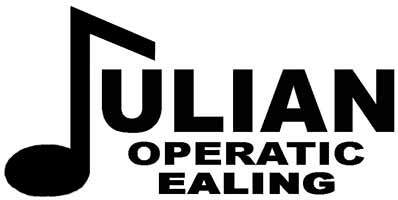 Rehearsals are most Wednesdays from 7.45pm to 9.45pm at Ealing Town Hall, New Broadway, Ealing W5 2BY.